We will be closed Thursday, November 22, for Thanksgiving and the following Friday for Buy Nothing Day. We need to get rid of all these bikes we haven't sold yet, so we decided to knock 10% OFF the price of all the bicycles we have. That means our bikes are anywhere from $45 to $130 cheaper! Not only that, but you still get 10% off any accessories (racks, fenders, locks, helmets, gloves, etc. 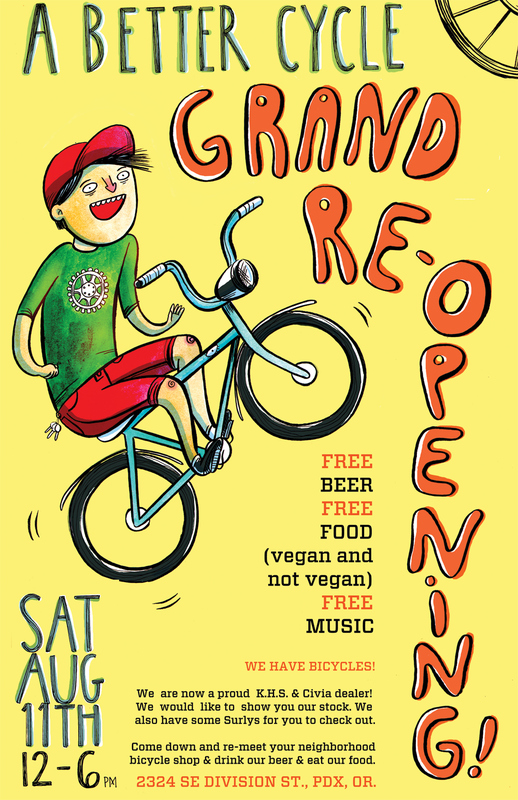 ); a free tune-up; and a T-Shirt when you buy a bike from us. We also have a ton of decent frames waiting for custom builds. Razesa - Columbus tubes, Spanish made. These guys built high end frames for Zeus back in the day. and a bunch of other cool stuff. Slow season is on its way for us and I'm sick of looking at all of these beautiful bikes and frames just gathering dust! We will be closed Monday, September 3, in observation of the worker's holiday. See you Tuesday! We have made some pretty interesting changes to our little love child we call A Better Cycle. We want the opportunity to re-introduce ourselves. Please come by if you can. 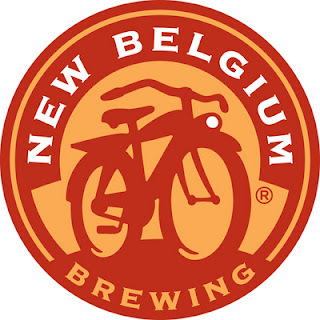 And a special thanks to New Belgium for donating a Keg! We are having another swap meet here, Sunday (7-29-2012). 10 a.m. to 3 p.m.
A Better Cycle is now a KHS dealer! We've got the Urban Soul, Urban Xpress, and Urban X in stock. We've been pleasantly impressed with the spec and build quality of these bikes, especially at their price point ($300-$600). The Urban X, for example, comes with a reasonable 3x8 drivetrain, mechanical disc brakes, full fenders, a rear rack, and simple, understated graphics. Even more impressive are the frame's Double-Butted Reynolds 520 CroMo main tubes and a weird-but-cool 1 1/4" - 1 1/8" tapered-steerer fork to stiffen up the front end. Our friend, Zach Shapiro, from OneHundredSeconds.com and I (Clinton) just finished a little project. Here it is. We hope you like i. 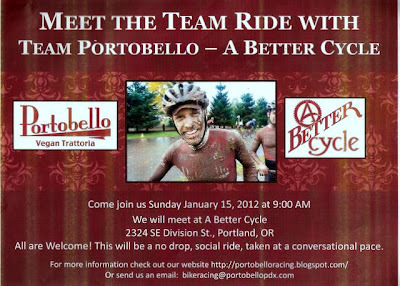 A Better Cycle from abettercycle@gmail.com on Vimeo. Our parking lot is full of vendors with all sorts of bicycles, parts, apparel...you name it it might be here! Come on down, vendors will be here from 10-3 today, Sunday June 24th. Tons of deals. We will be closed Tuesday, June 19th. We are installing a point of sale system, and need to enter all of our inventory into our computer. Normal hours will resume the following day. 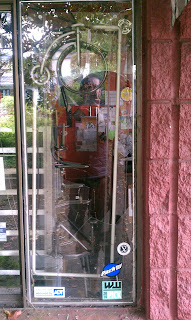 Our shop got broken into last night (5-28-2012). Someone threw a rock through our window. It smashed the glass and our beautiful neon high wheeler open sign. 2 Twin Cities Step Over; red w/ integrated rear racks single speed coaster brake ($595 each), one Civia Prospect; green with cream panels ($1195), and a white PureFix fixie with white deep sections rims. Keep your eyes peeled for these, to my knowledge there is only one or two Civia Prospects in Portland and very few Twin Cities. 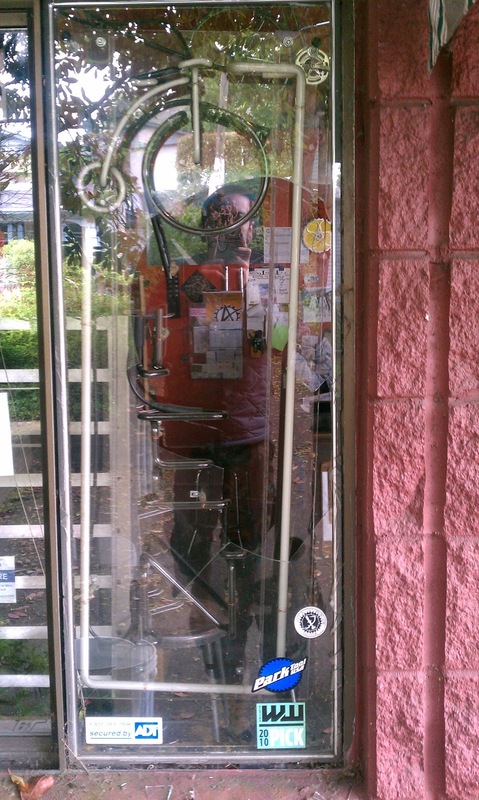 The PureFix is also one of only a few in the area. We will be closed Monday, May 28 in observation of Memorial Day. We will be closed May 1st, in observance International workers day. Normal hours resume, Wednesday May 2nd. We will be closed to celebrate fertility. Normal Business hours resume, Monday, April 9th. The Pake C'mute frame is a versatile option for 700C wheels, with a geometry and weight that balances comfort and efficiency. We built this one, so it's one of a kind, with Shimano Alfine eight speed internal hub (the gears are actually inside the hub, sealed from the elements.) making it extremely low maintenance and user friendly. The front wheel is built with a matching Alfine generator hub that powers the light which is mounted to the quick release skewer. 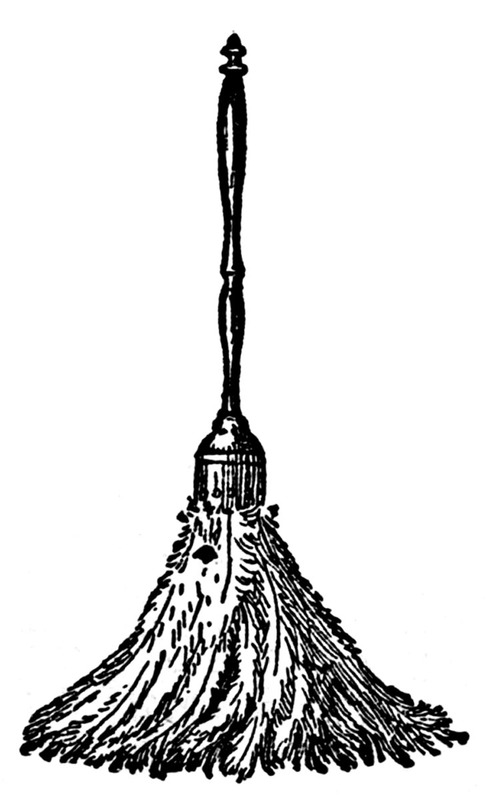 An integrated rear light resides in the seat post. 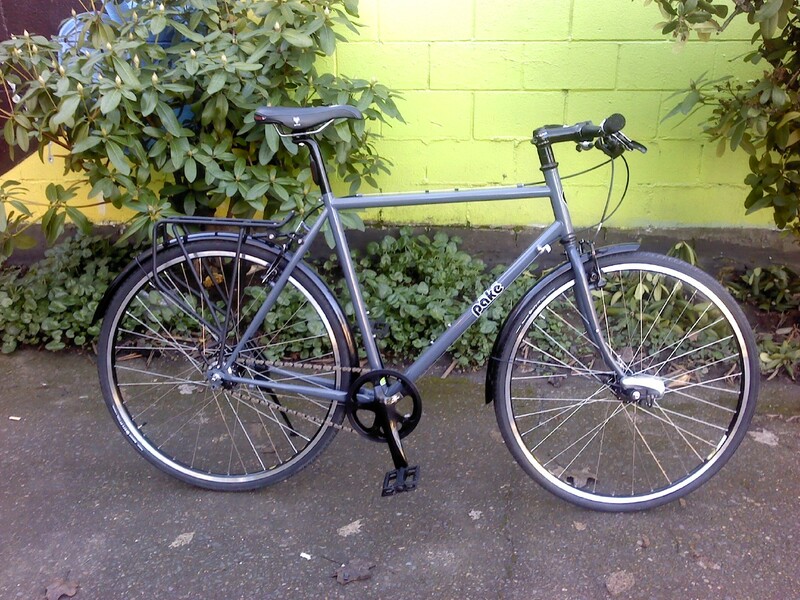 With fenders and a rack included this bike is ready to ride, everyday, rain or shine. This particular frame is a 56cm but should suit riders around 6 feet +/- . We can order frames in sizes ranging from 47cm to 60cm and all the parts are customizable so we can easily do this with drop bars or go more upright, whatever you like. 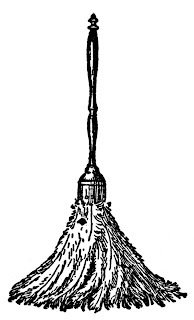 We are closing early tomorrow, Tuesday April 3rd, for some much needed Spring Cleaning. Our canopy got a little broken last week and the parts are here so we can re-erect shelter for the public repair area too. We may even rearrange a little while we're at it! We will be open from 10-2 tomorrow so come in early. Starting April 4, swipe with purchase at any Supportland business and you may "find" a point-filled egg worth 10-75 points! Over 500 eggs will be hidden, so your chances are pretty stellar. Hop to it as the hunt ends midnight on April 7. 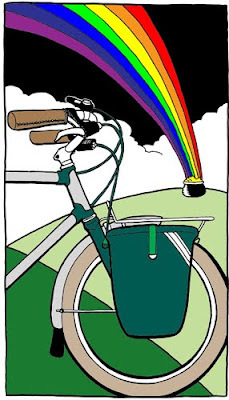 Considering now is the best time to get your bike tuned up (read: before the crazy busy madness of actual nice weather), it's a great time to set and appointment! And remember, you can check out all the new rewards and businesses on supportland.com. A collaborative sale with A Better Cycle and North St. Bags. Have a cup of beer, socialize with us, and buy up the sale stuff so we can bring in more new products for the season! 40% off tons of stuff from both businesses. Try your luck at our prize wheel (t-shirts, wallets, patches, tool rolls, additional discounts, and secret prizes). Test your skills at the bouncey-ball challenge for a chance to win a custom route Seven pannier. Try your luck at a mystery game for a chance to win a pair of knog Boomer lights. Our friend Blake was nice enough to give us a shout out at the end of his latest video. If you're into flatland, You should know who this guy is. We have decided to bring our hourly rate up to reflect the increase in facilities cost we have accumulated over the years. It is always our goal to be better equipped to serve our wonderful clientele as best as we can. In effort to do this, we have spared little creating a workshop that can service more people, more completely. The unfortunate caveat of this effort is increased expenses. We hope and ask that our beloved customers(who, by the way, are the best people on the planet) understand and appreciate what this means. As of March 1st, 2012 Our hourly rate will be $60.00 an Hour rather than $50.00. This will affect Tune up prices, primarily. Other packaged deals will reflect the change as well, such as Overhauls, etc. Our "ala Carte" options will remain mostly unchanged, as they were based around $1.00 a minute estimations. We look forward to your support on this matter, and we apologize in advance to anyone who feels alienated by this change. One of the biggest differences between local businesses and the other guys is that we deeply love our community. And what better holiday than Valentine's Day for us to show some of that love! While this deal is only good until our inventory runs out, stay tuned to our social media where we'll be releasing more rewards throughout the day. Check out all the rewards being offered from locally-owned businesses across town at supportland.com and keep racking up those points! This freshly powder coated, Peugeot Orient Express is an elegant commuter, which we've affectionately designated, as a "Monster Porteur". These frames were originally marketed as mountain bikes, but we have re-purposed it with swept back handlebars, Schwalbe "Fat Frank" 2.35" Balloon tyres , Soma Porteur front rack, Brooks saddle, and fenders. 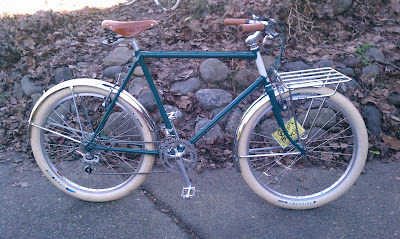 Refurbished components include, a more modern eight speed drive train, linear pull brakes, and our hand-built wheels. The long wheel base and steel frame ensure a luxuriously supple ride as well as ease of handling even under heavy load. The seat tube is 56cm and the top tube is 59 making it sort of a men's medium or women's tall with a comfortable upright seating position. Put on your skin suits group-ride lovers! (Or not, whatevs.) 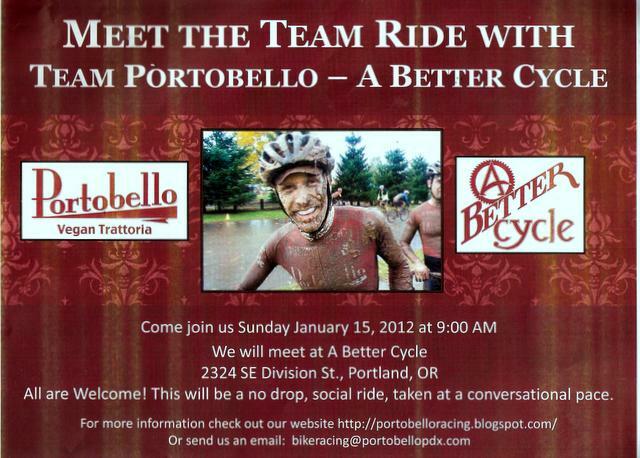 Team Portobello will be hosting a group ride next Sunday and to which your chamoised behind has been cordially invited. The ride starts here at A Better Cycle at 9:00 am where we will attempt pull our decrepit bodies out of their caskets early enough to lovingly BREW COFFEE for you. Experience Portland's sublime scenery! Enjoy the delightful company of our dreamy bike team! Tell winter to take off! We can't wait to see you.